DermaQuest offers luxury skin care rich in botanical stem cells, peptides & vitamins, with hydrating ingredients that are vital for skin integrity. With a comprehensive line of collections catering to the most sought-after skin desires, DermaQuest uses the precise amounts of active ingredients and delivery systems to achieve unparalleled results, leaving your skin youthful, bright, clear and radiant. 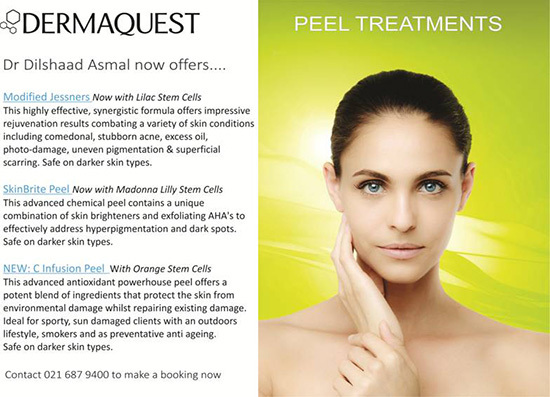 Dermaquest's current portfolio targets the most demanding of skin care conditions and consists of professional peel treatments and homecare products that offer comprehensive solutions to skin concerns. 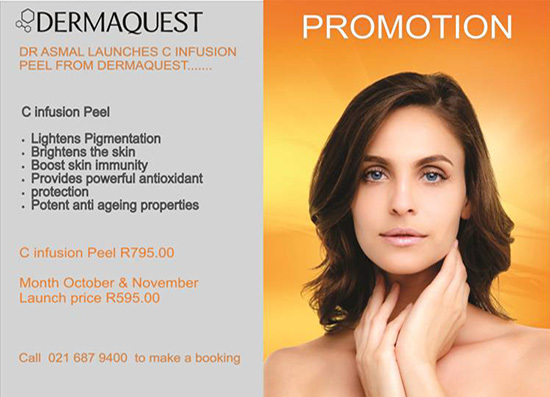 Due to the range's highly effective ingredients and the need for recommendation based on skin types and conditions, DermaQuest is physician only and is currently stocked in some of the leading aesthetic clinics in South Africa.